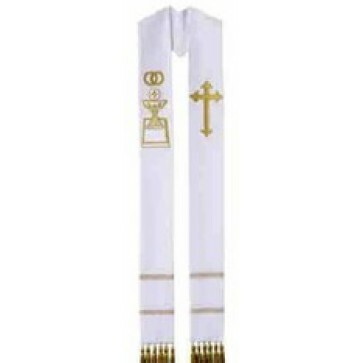 Theological Threads White Wedding Stole. 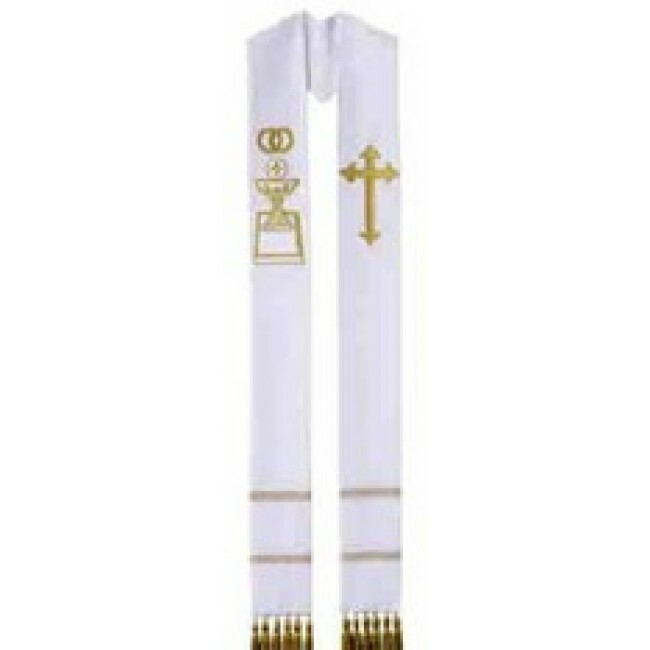 Beautifully design with wedding symbols of chalice, host, and rings White Wedding stole, available in either priest-pastor or deacon style. a bent elbow. 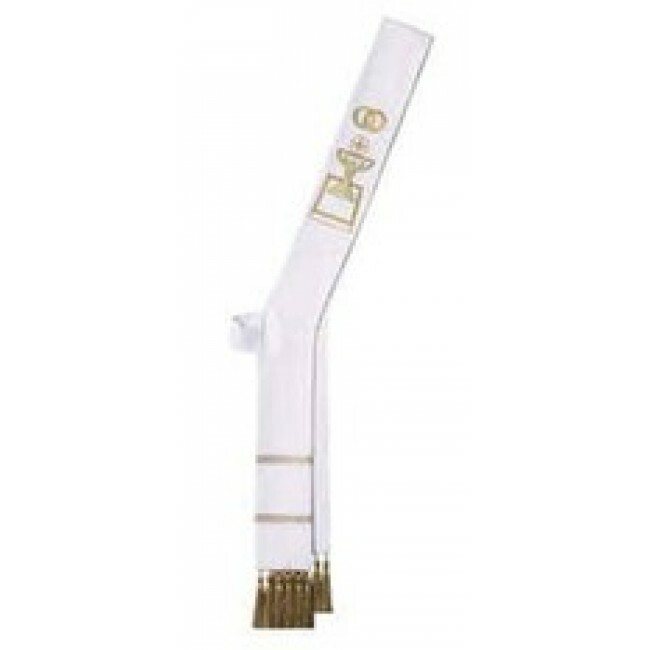 Both of the stoles come with 5" gold tassels.